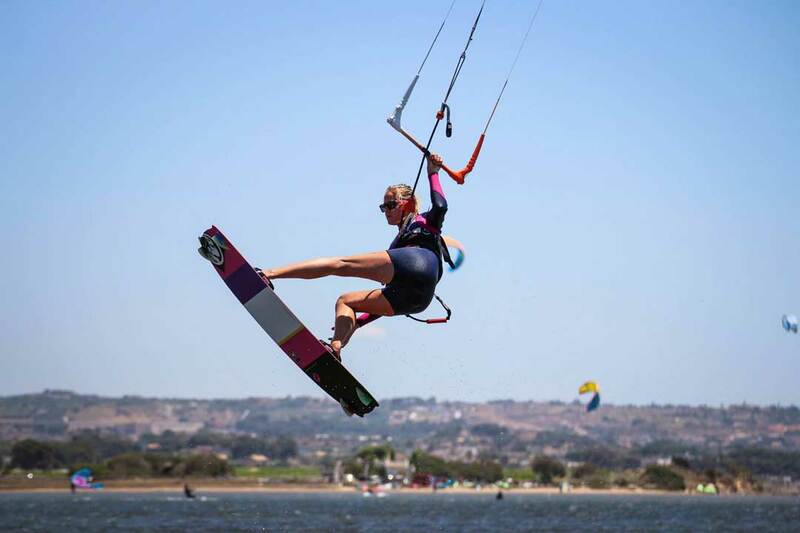 Why to Kitesurf in Sicily?? We have a huge lagoon with flat shallow water. On some kitespots you can only use the lagoon in low tide or high tide but in Sicily we don’t have this porblem you can kite all day! Thanks to the open lagoon almost every wind direction is good to surf! If you don’t want to spend 50-100 eu to bring your equipment, you can rent the latest equipment from us. We have more than 30 kites from 5 to 17m2, Surfboards, Foilboard and 10 Twintip boards in different sizes. Since you only have these 1-2 weeks of holiday, you want to make the most out of it. So don’t sit on the shore because you are missing 2-3 knots, it is easier to take a bigger kite from us or a smaller if the wind is too strong!